Bernard Darwin described this hole in his illustrated series describing the play by Mr Tiger, Mr Rabbit and Mr Everyman. The conventional approach is to drive to the left of the fairway avoiding having to carry the right hand bunker. 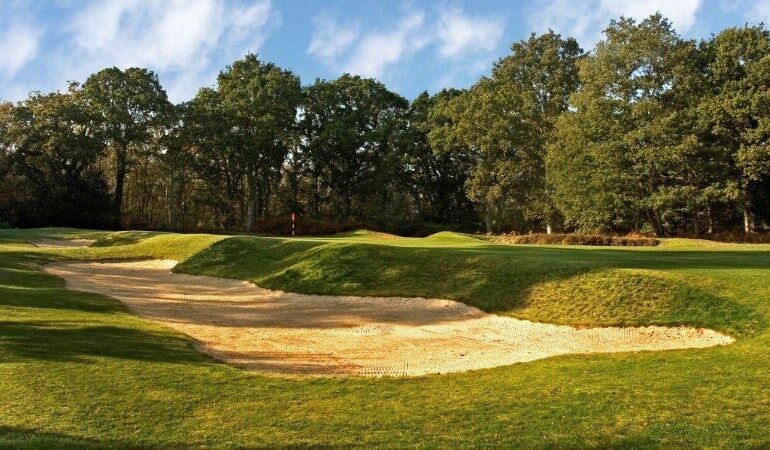 The second can be played safely by playing to the left of the cross bunker but that will leave a more difficult approach to the green where the bunkers must be carried. 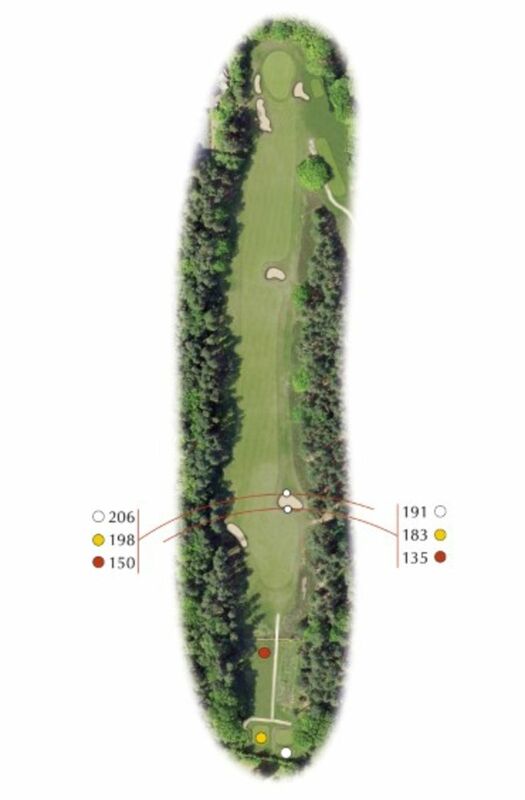 Alternatively, if the player risks the cross bunker with the second shot and plays to the right half of the fairway, he is rewarded with a relatively straightforward third with which it is easier to attack the flag.